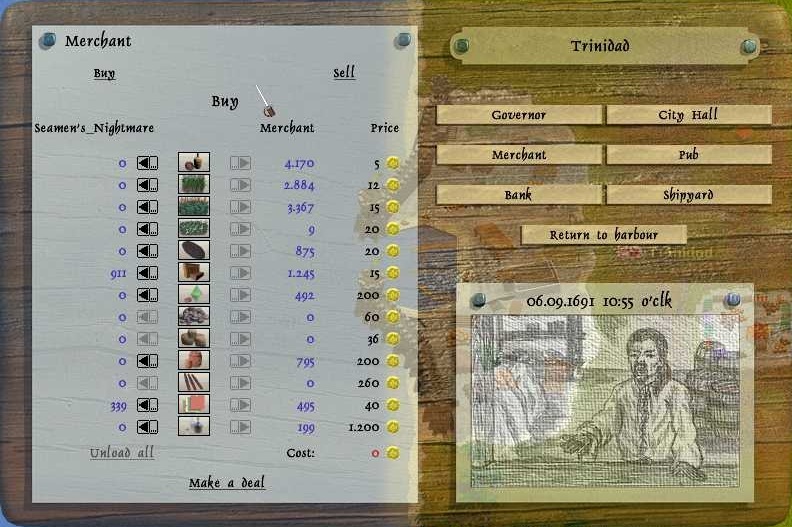 When you press the merchant, you can see what goods you have on your fleet and what goods are available in the city and what price you can buy them at. If you press sell you are able to sell the goods you have on your fleet and you will get a sell price beside the different goods that is always lower then the buy price. 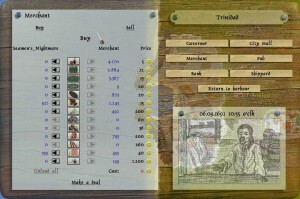 If you want to learn about trading goods look here.